This is a fabulous elegant ring! 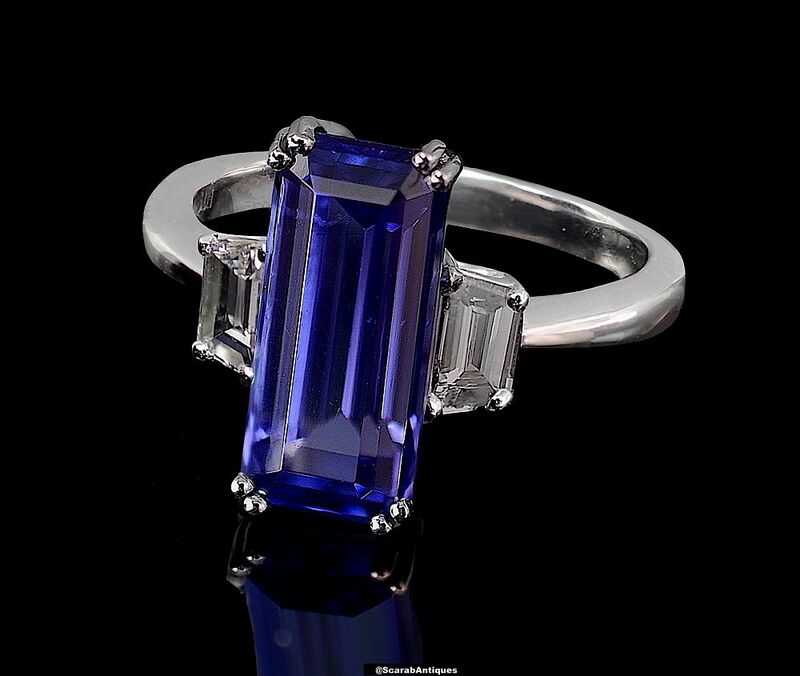 In the centre of the platinum ring set in 4 platinum split claws is a rectangular natural unheated tanzanite that was cut by Alan from rough material that he bought in Tanzania in the 1980s. On each side of the tanzanite is a 4 claw set trap cut diamond above a platinum shank.